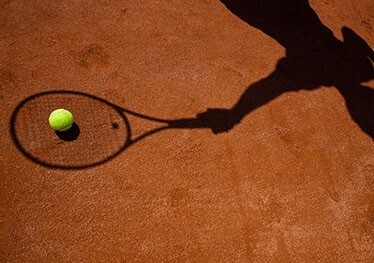 Omniclay provides an ideal surface for clubs or individuals wanting a court with the characteristics of natural clay but without the negative aspects f heavy and costly maintenance. Omniclay courts are tested to ITF-approved standards for tournament play. Omniclay’s rapid drainage properties allow play to commence during all wet conditions without the court’s characteristics being affected. Omniclay courts offer the same play conditions as natural clay, including ball bounce, typical traction and a natural look. Omniclay offers a range of benefits including high UV-stability and polyethylene yarn, no cracking (unlike natural clay), rapid drainage (also unlike natural clay), environmentally friendly, no more tape lines (all inlaid into the surface), stability for indoor and outdoor use, all-year-round play. The lines on Omniclay are slightly higher than the rest of the court to retain better line visibility than similar courts. With Omniclay you get everything you would expect from a clay court – except of course the maintenance cost and effort of real clay. 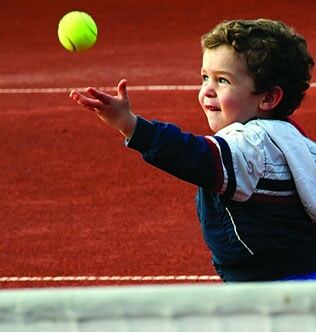 So, if you prefer the kind of bounce, spin and slide you get from clay, you should try one of our Omniclay courts. Drawbacks: There is loose sand on the surface and the court requires daily maintenance. The lines are not as clear as on a Savanna court. Daily brushing, removal of leaves and spraying four times per year with moss killer remains throughout our product range. As part of our commitment to completed projects we offer our own after-care and maintenance service, so please feel free to contact us for further information.